Jas Cheema is a partner at Accuracy. He specialises in providing Quantum Expert opinion, forensic quantum investigation, project advisory and dispute resolution services. Jas has over 17 years of construction experience and provides both expert advice and testimony on construction quantum including the assessment of additional costs, prolongation, disruption and loss and expense on a variety of construction and infrastructure projects worldwide. Jas is a chartered surveyor and a member of both the Chartered Institution of Civil Engineering Surveyors and the Chartered Institute of Arbitrators..
Jas speaks English, Punjabi and Hindi. 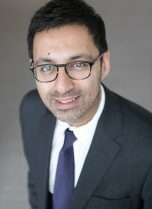 Jas is from a Quantity Surveying background and has been appointed and testified as an independent quantum expert (including witness conferencing) on numerous occasions, in both arbitration and litigation proceedings in both Europe and the Middle East. Appointed Quantum Expert Witness on behalf of a main contractor on an AED 2.9bn education facility in the UAE (ADCACC matter). Appointed Quantum Expert Witness on behalf of a main contractor on an AED 300m dispute relating to the construction of a prestigious hotel development in Dubai (DIAC matter). Appointed Quantum Expert Witness on behalf of a main contractor on an AED 400m dispute relating to the construction of a dozen residential towers and associated works in Dubai (DIAC matter). Appointed Quantum Expert Witness on an AED multi-million dispute concerning the fit-out and MEP trades on a commercial project in Bahrain. Duties included undertaking investigations to assist with preparation of Statement of Claim and drafting expert reports. Appointed Quantum Expert on a £25m plus re-development of a Grade II listed building (and new buildings) in the UK on behalf of a foreign royal dignitary. Duties included analysis and submission of an expert report in respect of terminated main contractor’s final account and cost to complete (including loss and expense) of the replacement contractor. Instructed to provide Quantum expert services on the development of a major development in Oman valued in excess of US$1bn. Duties included the assessment of late changes to design and the associated evaluation (architectural, structural and MEP changes) and adjustment to the contract price. Quantity surveyor on gas extraction and transportation pipelines in the Caspian Sea region. Jas undertook reviews, analysis and assessment of various contractors’ claims for additional costs and loss and expense. Appointed by a Contractor on the external / highways works elements of a new retail development to investigate and produce a claim for submission as part of a final account. Jas drafted and produced a detailed claim on behalf of the Contractor, leading to successful settlement.